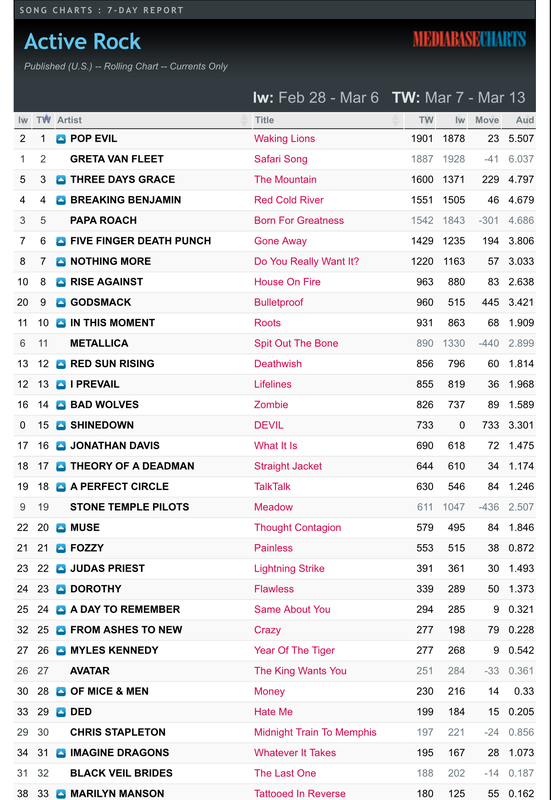 Sound Emporium family members, Pop Evil, hit #1 on the Active Rock chart with their song “Waking Lions.” Their recent release, Pop Evil, was recorded in Sound Emporium Studios in 2017, was produced and engineered by Kato Khandwala, and assisted by our very own Mike Stankiewicz. Click here to purchase Pop Evil on iTunes. Pop Evil will be performing live at the Ascend Amphitheater on May 31st with Poison and Cheap Trick. Click here to buy tickets.